Please read the following terms and conditions carefully. You must not accept any booking unless you understand and agree with the following terms and conditions. When you carry out a reservation, your contract will be done with the company BALI-FAST-TRACK.COM. However if your holiday is organized via a agent, the contract will be done up directly with this one. Before carrying out a reservation, you must fill the form available on BALI-FAST-TRACK.COM and wait the confirmation by email of the availability of the room or package chosen, at the dates selected. Following this confirmation. After you have checked and approved the details of the reservation as well as the general terms of sale, You will have to process the payment of the deposit of 40% of the total amount of the stay required to confirm your reservation. Your reservation will be confirmed and valid when we receive the payment of this deposit. A reservation carried out by a minor cannot be accepted. Your personal information will be processed in all confidentiality. The prices posted on the site can change without notice, however the price mentioned at the time of the confirmation of reservation is guaranteed to you. 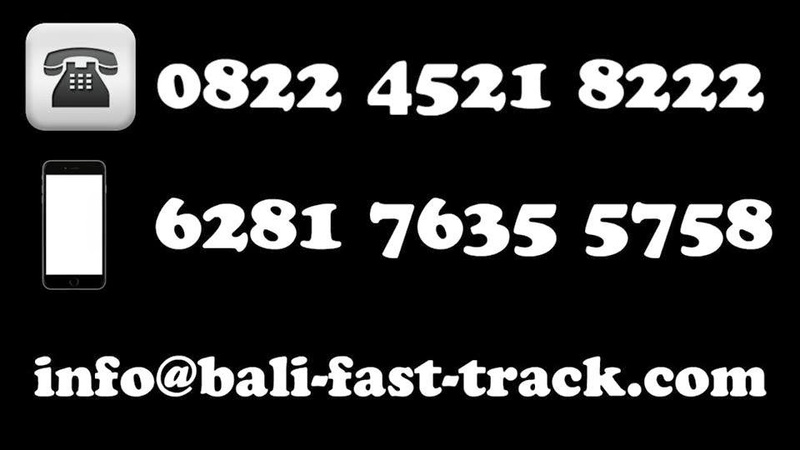 BALI-FAST-TRACK.COM accepts the payments in Euros, Pound and AU$, however the rate will be calculated on the day of the payment. For all Hotels and Room reservations, a deposit of 40% of the total amount of the stay is required at the time of the confirmation in order to guarantee the reservation. The Hotels or Rooms selected will be blocked on your behalf only at the time of the reception of this deposit. The balance remaining will be to pay prior your check in. The reservation will not be confirmed until we receive the confirmation of your transfer. Any cancellation of the customer must be sent by email to info@bali-fast-track.com in written, the reference of reservation must be specified there. The date of cancellation is the date when we receive your request for cancellation. 50 % of the amount of deposit is refundable if cancellation occurs more than 60 days before the arrival date. BALI-FAST-TRACK.COM provides the maximum of efforts to make sure that the pictures and the descriptions provided of the services, rooms, activities as accurate as well as possible, we cannot accept the responsibility for the possible errors contained on the site. By accepting these general terms, you accept the existence of differences between photography, the illustration and the texts used, and the real establishment. It’s the responsibility of the customer to treat with respect the establishments, their furniture and equipment and their personnel. You will have to leave the villa in the same state of cleanliness and general order that on your arrival. The damage caused by the customers can be charge by the establishment. Any invaluable object left within the property is under your responsibility. BALI-FAST-TRACK.COM will not be held responsible in the event of loss, of damage because of a steal or any other event. The pets are not authorized in all the establishments. No pet will be accepted if the request were not formulated and validate by BALI-FAST-TRACK.COM at the time of the reservation of the establishment. In the event of conflict, the two parts begin to try to find as a preliminary an agreement by friendly agreement. In the absence of satisfaction results for the two parts, the treatment of litigation will have been subjected to the Indonesia courts of Law. As an intermediary, BALI-FAST-TRACK.COM could not be held responsible or be involved of any way in front litigations occurring, lastin, and implying the customer and the establishment. All the contractual obligations coming from these conditions of reservation are subjected to the Indonesian legislation. Please fill the reservation form once you have made choice for our service. All visitors to Bali - Indonesia must possess a passport valid for at least six months after arrival date in Indonesia with proof of onward passage, with either return or through tickets. Passport must be valid with an expiry date at least of six months beyond the expected date of departure from Indonesia. Otherwise entry may be refused. VOA COST ( VISA ON ARRIVAL ) is not Included on the service is US$ 25. Also be aware that Immigration officials calculate the 30-day period as follows: your arrival day is counted as your first day, and you must leave the country on the 30th day.